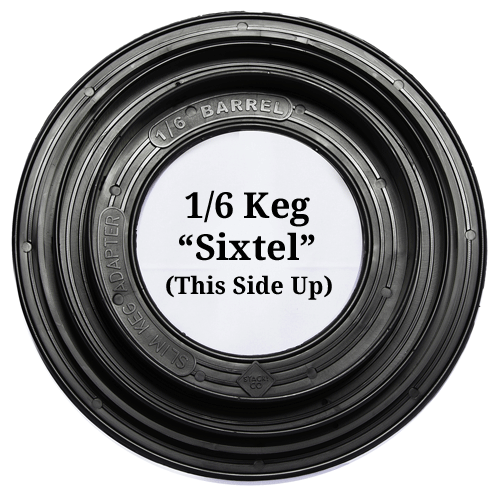 The 1/6 Barrels (also called Sixtel kegs or Torpedo kegs) are 23-3/8" tall, have a 9-1/4" diameter and hold 661 ounces or 5.16 gallons. 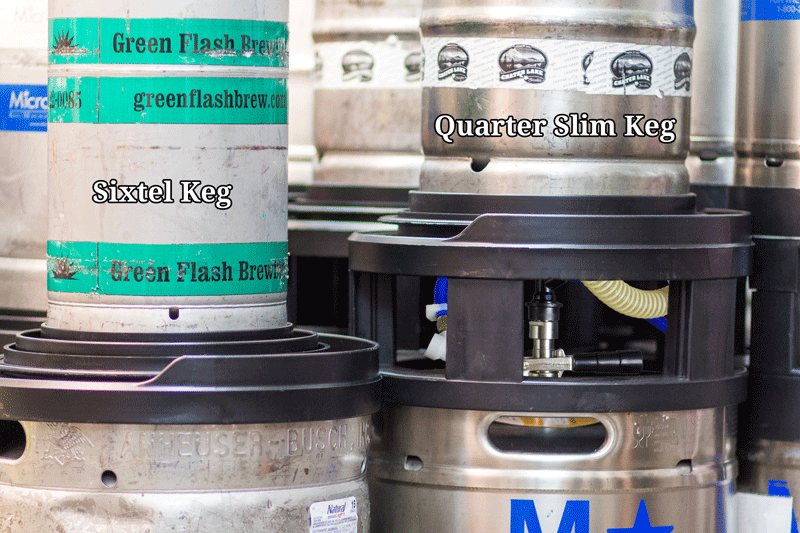 The Quarter Barrel Slim kegs are also 23-3/8" tall, have a 11-1/8" diameter and hold 992 ounces or 7.75 gallons. 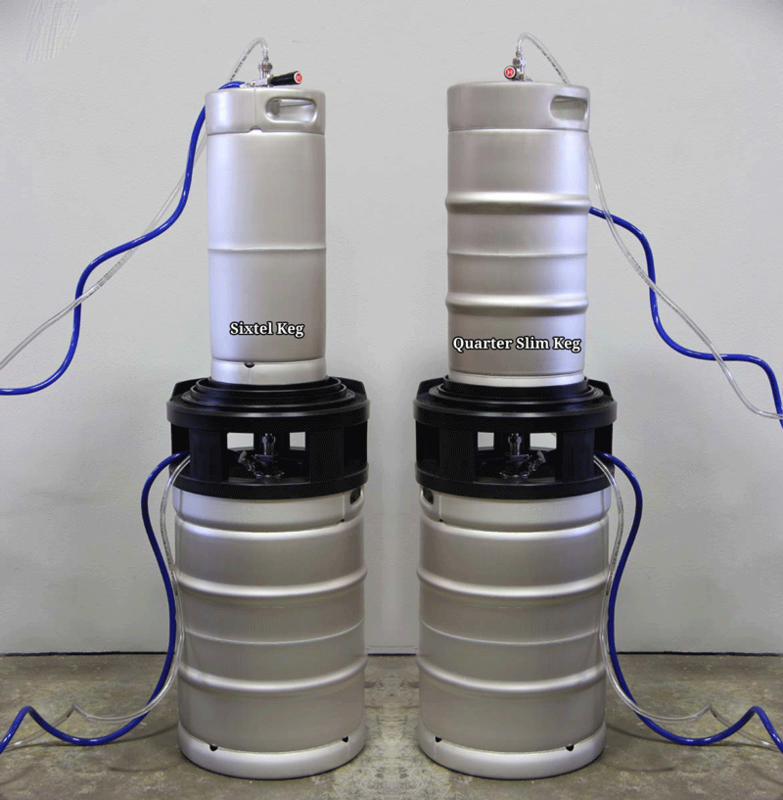 Pictures of these two kegs can be seen in the photo library. 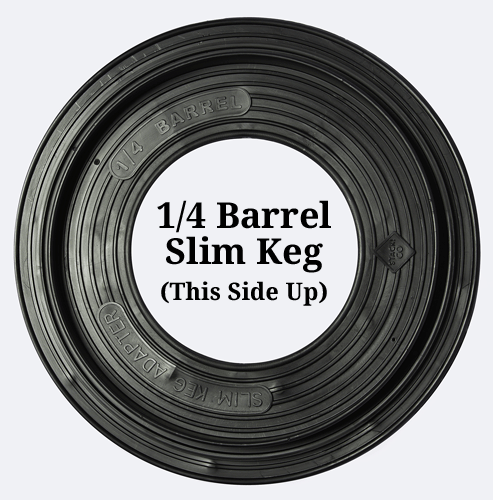 A Sixtel keg or a Quarter Slim keg can be stacked on top of a Half-Barrel (your most common keg size) with a SKA combined with a Keg Stacker or a Keg Spacer. 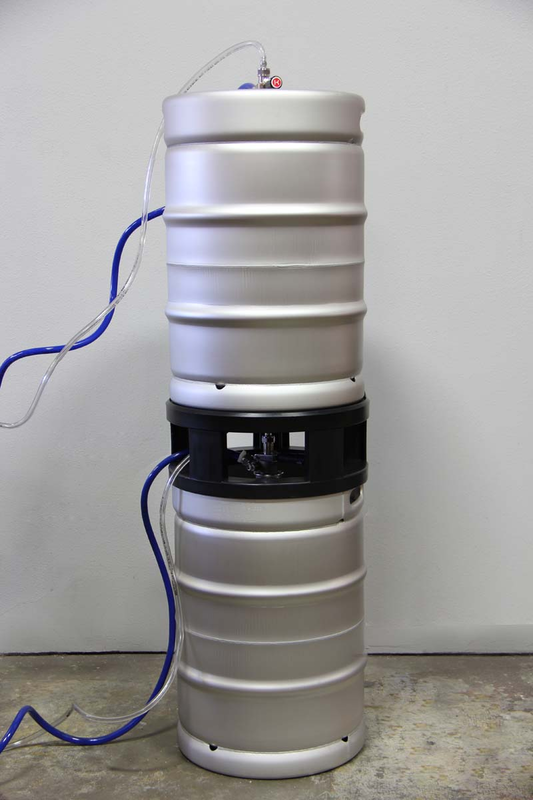 To stack a Quarter-Barrel Slim keg on top of another Quarter-Barrel Slim keg, you'll need to purchase 2 Slim Keg Adapters and 1 Half-Barrel Keg Spacer. The Slim Keg Adapters will be positioned below and above the Half-Barrel Keg Spacer and the 3-piece set is placed between the 2 Quarter-Barrel Slim kegs. 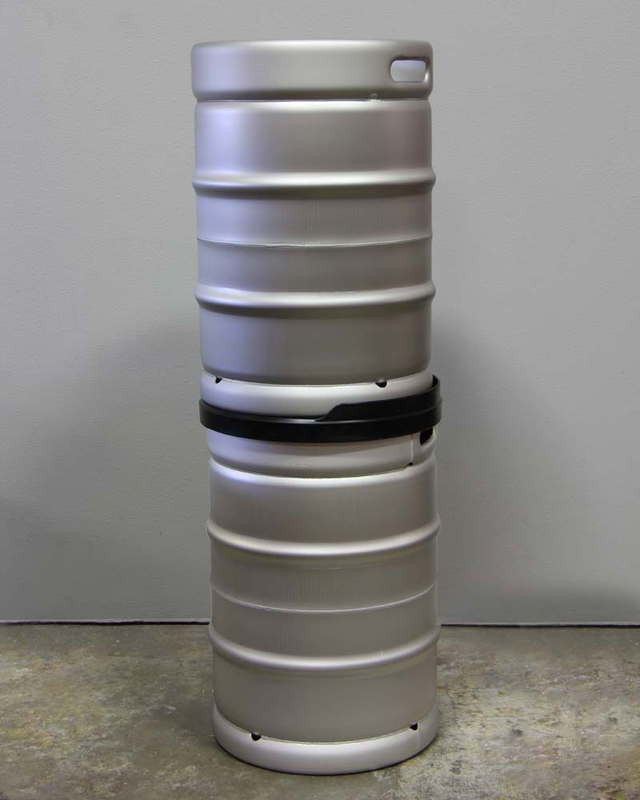 NOTE: This 3-piece set will add 10" to the height of the 2 Quarter-Barrel Slim kegs so make sure your keg cooler ceiling height is 5 foot or more. 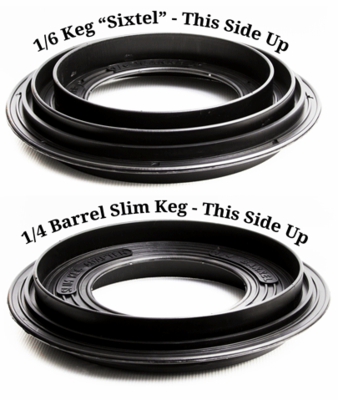 Enter coupon code 3PIECESET to get a special 10% discount when purchasing a minimum of 2 Slim Keg Adapters and 1 Half-Barrel Keg Spacer. Unfortunately, due to the excessive cost, we do not ship outside of the 48 Contiguous United States and expedited shipping within the US is not available for this item.